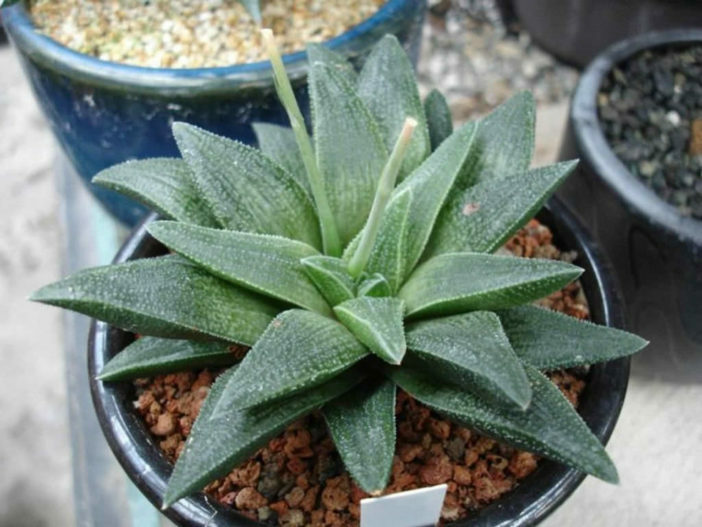 Haworthia venosa is one of the most widespread and also variable Haworthia. 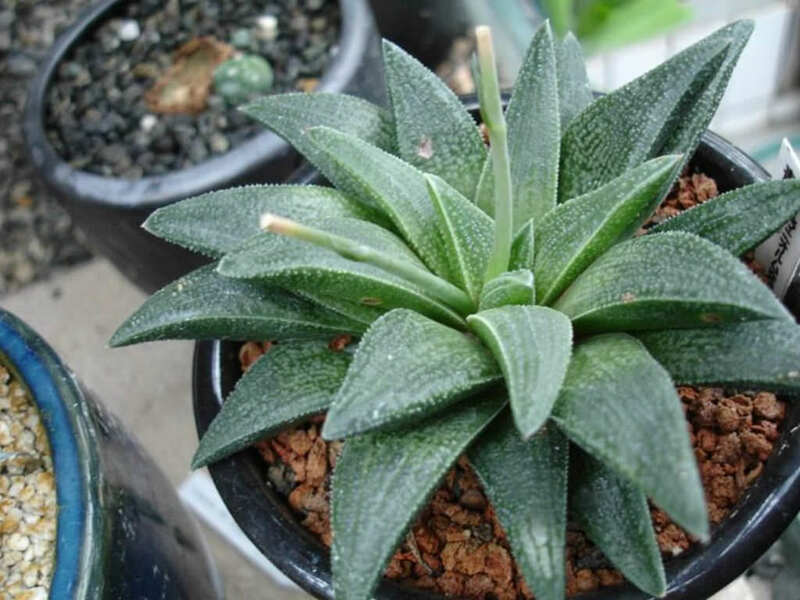 It is a stemless, rosette-forming succulent up to 4 inches (10) cm in diameter, with about 7 to 15 leaves arranged in spirals. 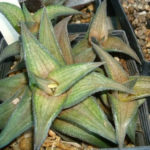 The leaves are up to 2 inches (5 cm) long, up to 1.2 inches (3 cm) wide at the base, fleshy, firm in texture, broadly triangular, strongly recurved and brownish to green in color. 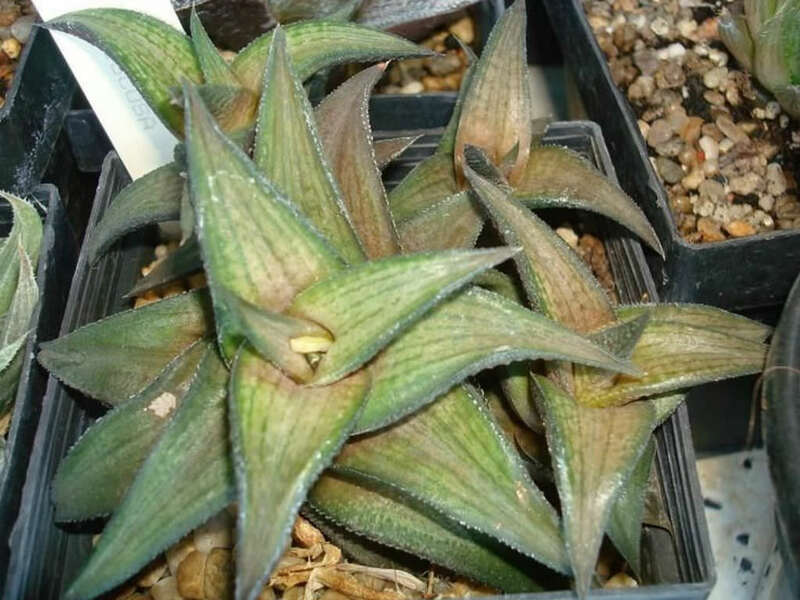 The upper surface is marked with 6 pale green, anastomosing, vertical lines forming a square patterned design and windowed. 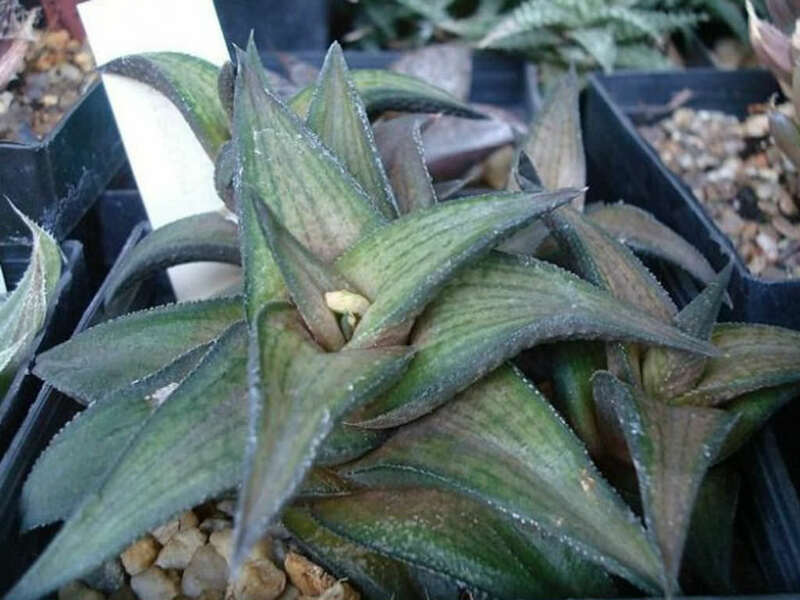 The lower surface is usually rounded, slightly scabrid with raised coriaceous tubercles, especially in the upper part where they are arranged in transverse rows, margins with recurved, white teeth. The inflorescence is lax, simple, raceme, few-flowered and up to 20 inches (50 cm) tall. 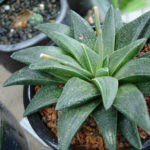 The flowers are small, greenish-white with green veins. 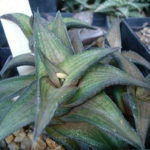 Haworthia venosa is native to Namibia and South Africa.